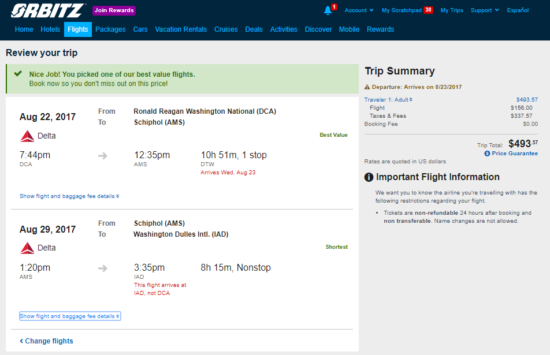 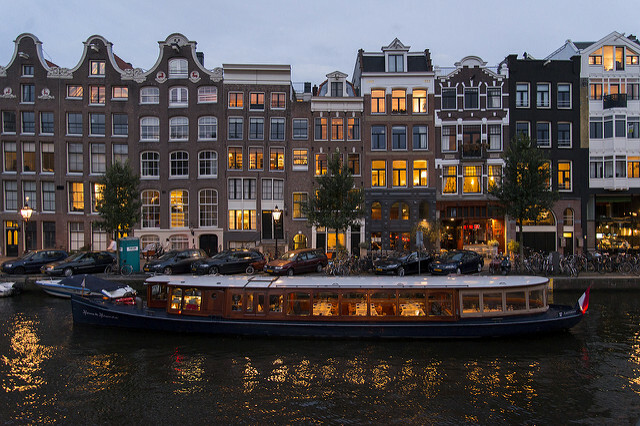 2 Responses to "[Summer] Delta – $494: Washington D.C. – Amsterdam, Netherlands. 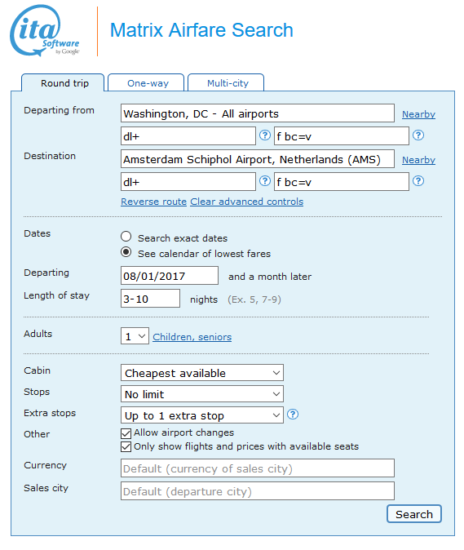 Roundtrip, including all Taxes"
So, if the flight is available on ITA, but I cannot find it on Orbitz.. Is there another way I should approach it? @max – can you provide dates so we can take a look?